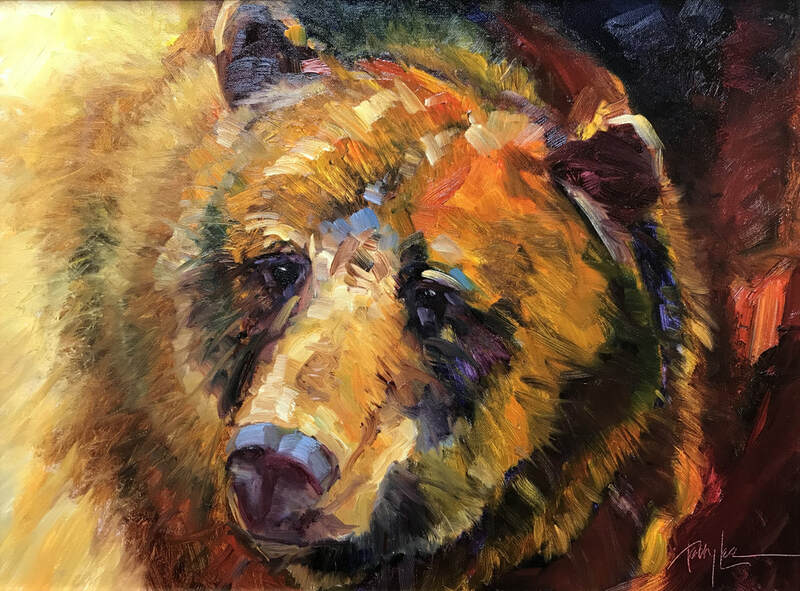 Capturing his animals in a moment of time and in all of their majestic beauty, his impressionistic style, along with his magnificent sense of color, gives new meaning to Africa's spectacular scenery and wildlife. Terry believes that traveling to Africa and seeing these animals in their native habitat helps him to see with "African Eyes". Terry feels that "I do my best to create a sense of energy and action. I capture emotional moments using color and light, sweeping brush strokes and bold swaths of color, drawing the eye into the scene. I want the viewer to feel the intense light and heat of the sun, creating atmosphere and mood". For twenty years Terry was the owner of a large sporting goods business in Coeur d' Alene Idaho. Along with the gun and fishing departments, he also included a ski and scuba section. He was a certified scuba instructor for 18 years (N.A.U.I. & P.A.D.I.). Deciding that he needed a change, Terry headed for sunny California. It was there that he went through that "what do I want to be when I grow up" thing. Realizing that his life long interest was actually a passion, he turned to pursue a full time art career. He returned to Idaho and set up his studio in the same building, where the sporting goods store had been. Recognizing the value to himself and other artists in the community, he opened his large studio four nights a week to Life Drawing and Sculpting sessions, providing the model and space to those who are interested in working with the human figure. Terry has created a truly unique style. It reflects a combination of the old masters and a lot of "Terry Lee" bringing a new energy to wildlife art. Terry's collectors experience a bold usage of color that is refreshingly different from anything they have ever seen. As one admirer quoted at a recent gallery showing, "You are a breath of fresh air in a world of sameness". 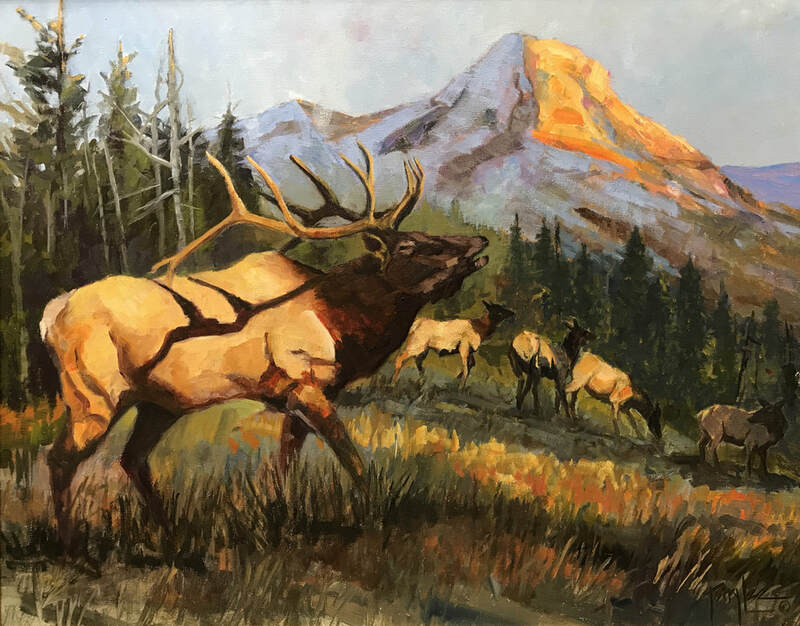 Terry enjoys working on large canvas and many of his pieces are five to eight feet long, with some as large as ten feet. These unusually large canvases are perfect for the many corporate collectors he has. Terry Lee's work can be found in Galleries in Montana, Santa Fe, Aspen, Carmel, Portland and Idaho.